 Other ebook formats available from Crossroad Press and other good ebook providers. 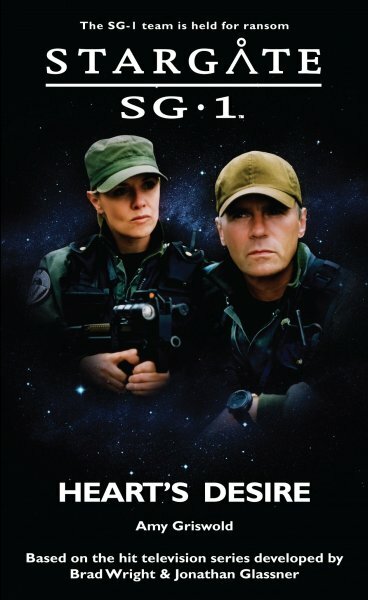 Colonel Jack O’Neill wants a relaxing mission for SG-1 as they recover from Sha’re’s death at the hands of Teal'c and the horrors of Sokar’s prison world of Ne’tu. The trade negotiations on Saday look like just the ticket – until the pirates show up. Captured by rival bands of treasure hunters in search of the mythical Heart’s Desire, the team must fight to stay alive and to find each other among the vast mountains and ravines of a world where pirates captain airships and down is a very long way indeed. Jack squinted, blinking through watering eyes to try to see if there was any obvious damage. He couldn’t see any, although the upper side of the canopy was out of view. Still, the canopy didn’t seem to be deforming as he thought it would be if the lightning strike had ripped through its canvas. Jack’s numb hands were slipping on the steering column, the metal slick with ice. He spared a glance down under his feet, and then let himself slide, finding his footing on the underside of the canopy. He scrubbed snow out of his face with the back of his hand, but the icy glove wasn’t much help. Anywhere that isn’t hot for our next mission, he’d said after Ne’tu. Just send us anywhere that isn’t hot. “I take it back!” he yelled, but the wind whipped the words away. STARGATE SG-1 © 1997-2019 MGM Television Entertainment Inc./MGM Global Holdings Inc. STARGATE: ATLANTIS © 2004-2019 MGM Global Holdings Inc. STARGATE SG-1 and STARGATE: ATLANTIS are trademarks of Metro-Goldwyn-Mayer Studios Inc. All Rights Reserved. 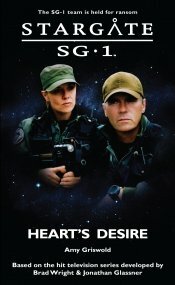 Stargatenovels.com is owned and managed by Fandemonium Ltd.